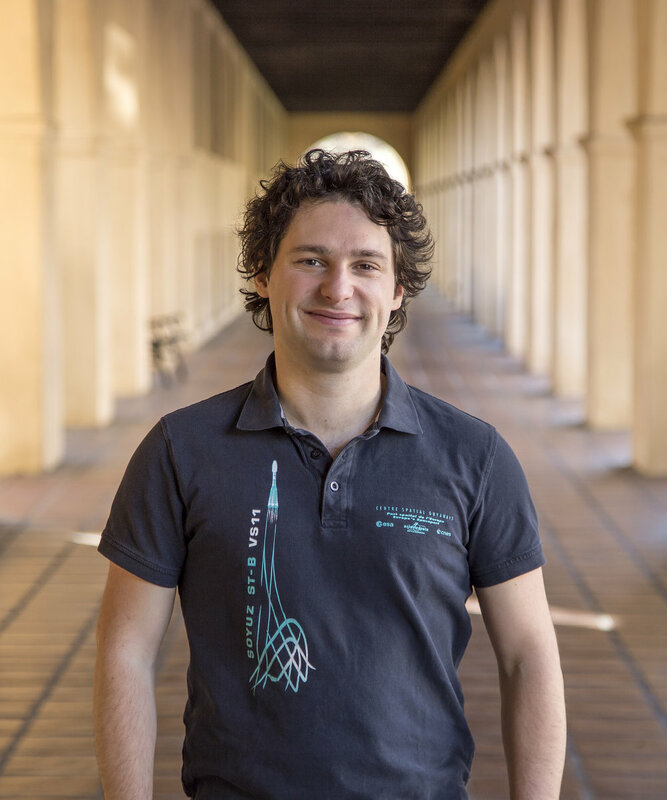 Fabien is a PhD student in Space Engineering at Caltech working on the Space Solar Power Initiative and the “Autonomous Assembly of a Reconfigurable Space Telescope” project under Professor Sergio Pellegrino. He received his Master of Science in Space Engineering from Caltech, as well as a Diplôme d’Ingénieur (Engineering diploma) from ISAE-SUPAERO (French national institute for Aeronautics and Space). Aside from his studies in France, Fabien was involved in the CNES (French Space Agency) PERSEUS program in which he was in charge of the mechanical design of a two-staged experimental rocket. He received the PERSEUS best innovation prize in 2016 for his new design of a rocket/ramp mechanical interface. He also attended CNES/Arianespace and ESA summer programs where he got involved in a study for a Mars sample return mission and a phase 0 design for an in-space gravitational wave detector. He is also a Keck Institute for Space Studies fellow. When Fabien is not studying science, you might find him surfing, snowboarding, climbing or hiking. 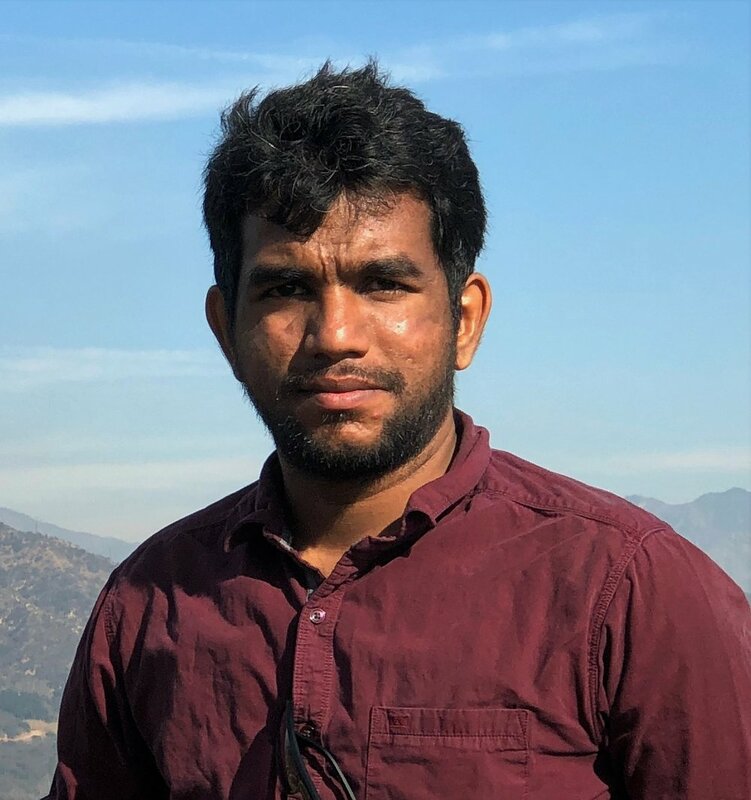 Simon is a PhD candidate in Aeonautics at Caltech working on simulation, modeling and control of incompressible wall-bounded turbulent flows under Professor Beverley McKeon. He received his BSc and MSc (with distinction) in mechanical engineering from the Swiss Federal Institute of Technology (ETH) Zurich and his M.S. in aeronautics from Caltech. 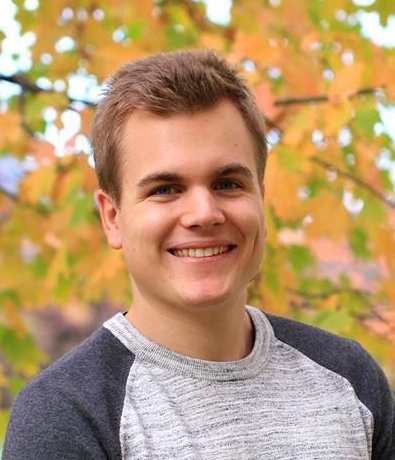 While at ETH, Simon conducted research on fluid-structure interaction and flow control in Professor Petros Koumoutsakos’ group and visited Caltech twice as an undergraduate researcher. During his master studies Simon also worked part-time as a project engineer in the waste-to-energy sector with focus on biogas and waste incineration plants. 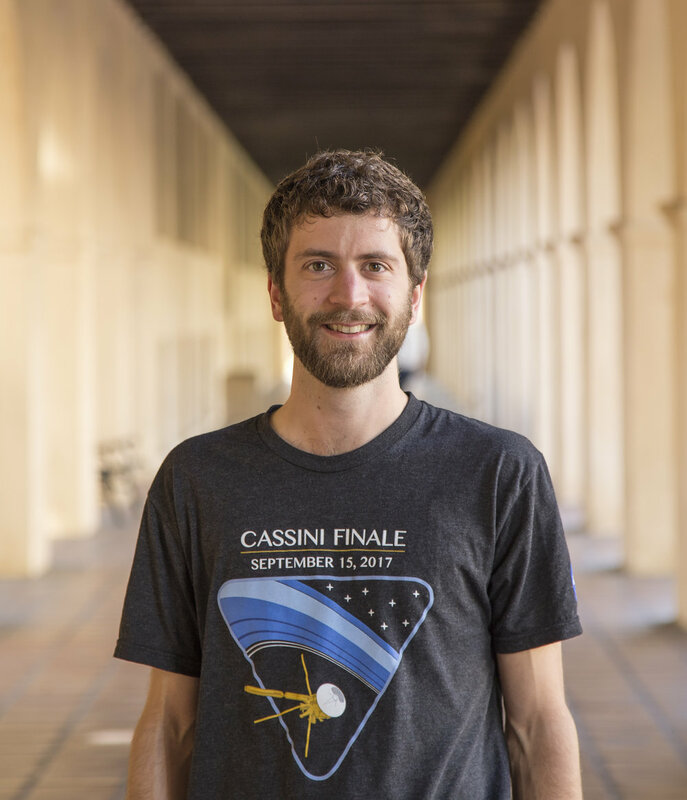 He is a fellow of the Resnick Institute of Sustainability at Caltech and a member of the GALCIT graduate student council. In his free time, Simon enjoys traveling, hiking, gardening, cooking or learning languages. Dr. Morgan L. Cable is a Research Scientist at NASA’s Jet Propulsion Laboratory in Pasadena, California. She earned her Ph.D. in Chemistry from Caltech in 2010, where she developed a new technique to search for the toughest form of life, bacterial spores. She has since worked on the Cassini Mission as a Project Science Systems Engineer, performed field work in extreme places like the Atacama Desert and Iceland, and developed new instruments and mission concepts to seek out life on ocean worlds like Enceladus and Europa. Currently, Morgan is part of the Project Science Team on the Europa Lander mission concept and creates mini hydrocarbon lakes in the laboratory to study physical and chemical processes on Titan. Dr. Charles Elachi is Professor (Emeritus) of Electrical Engineering and Planetary Science at the California Institute of Technology. From 2001 to 2016 he was the Director of the Jet Propulsion Laboratory and Vice President of California Institute of Technology. During his 16-year tenure, he oversaw the development and operations of over 45 flight missions and instruments. He is the Chair of the St. Exupery Innovation Council in Toulouse France, Member of the United Arab Emirates Space Agency International Advisory Council, a member of the Commission on DOE National Laboratories, and a member of the Visiting Committee for the Department of Aeronautics and Astronautics at MIT. Dr. Dan Meiron is the Fletcher Jones Professor of Aeronautics and Applied and Computational Mathematics at the California Institute of Technology. His research focuses on computation and modelling of basic fluid mechanical phenomena. He is particularly interested in shock driven flow instabilities, turbulence, simulation approaches for high strain rate solid mechanics and development of adaptive numerical methods for fluid dynamics that are suitable for high performance computation.